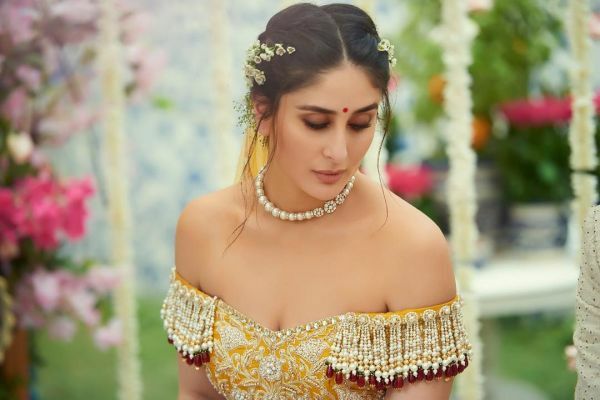 20 Pretty Indo-Western Outfits For The Bride And Even The Shaadi Guests! Shaadi season has officially begun and most of us are already complaining about how we have nothing to wear! Common problem, right? And with so many invites, who wants to wear a heavy traditional outfit every single time? This is where the indo-western outfits come into play. The new kid in the block, indo-western attires are perfect for occasions when you don’t want to go overboard but also don’t want to look unfashionable. Whether it is your BFF’s wedding or your own sangeet night, there is one outfit to match the mood and air of all the festivities. We are here to help you find gorgeous Indo-western wedding outfits for your BFF’s shaadi. Take your pick from our favourites! A bright kurta with a front slit, paired with dhoti pants is such an offbeat outfit to wear for your bestie’s wedding ceremonies. It has got fun and relaxed vibe and looks extremely stylish. Accessorize with a pair of danglers and a statement ring and you are good to go. Dhoti pants have a quirky element to them but thankfully they do not look too OTT. You can easily wear them for the cocktail night or during the sangeet and mehendi functions. An elegant tunic with long slits is a perfect pick for the reception or cocktail. It’s high on style and will look fab with high heels. Wear the kurti with palazzos or pants and team the outfit with dull gold jewellery. Wear it on the pre-wedding festivities of your BFF when you don’t want to go overboard with a heavy lehenga or saree. Ahh! We are so in love with this! A maroon tunic with wide-legged palazzo pants is just what you need to stand out at your bestie’s mehendi. Fun, quirky and cool; it’s on top of our wish list. Wear with long kurtis and danglers for a glitzy day time celebration. Apt for all day functions like haldi and mehendi. 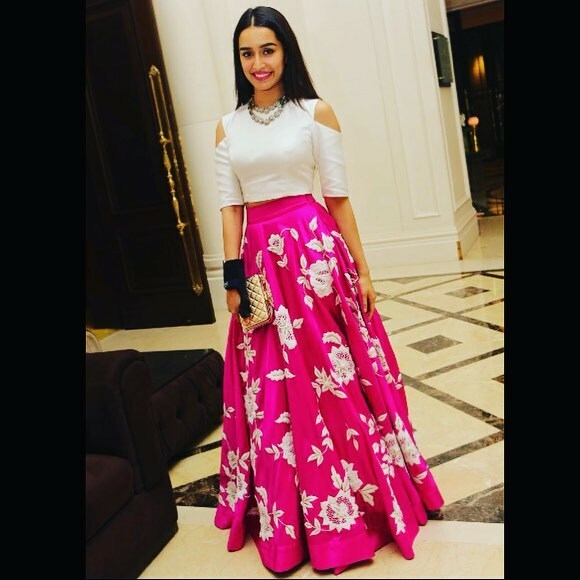 A crop top paired with a floral lehenga skirt looks extremely pretty and feminine. 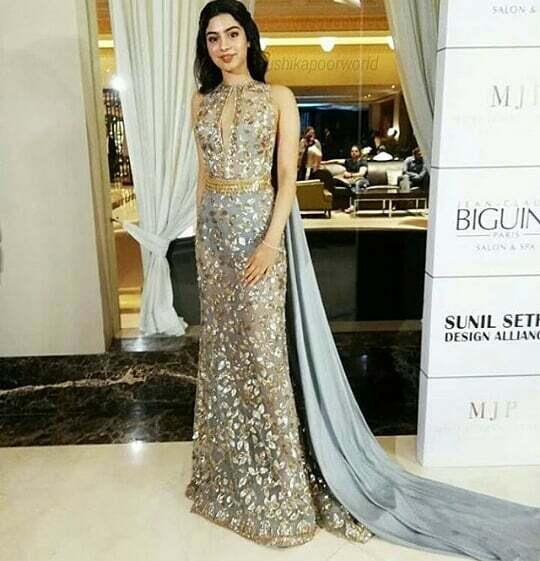 What’s interesting is that you don’t need to carry a dupatta with this outfit. Style it with loose curls and a statement neckpiece. Wear it to your bestie’s engagement ceremony and create a bold style statement. Sophisticated and classy, we absolutely love this jacket style kurta with a front slit. Pair it with well-fitted trousers for an Indo western look. You can also add these ethnic jackets on western wear like denims for a cool and casual look with a traditional touch. For more drama, choose long jackets that fall below the knees. For a more subtle look opt for shorter jackets with hemlines just below the hips. Strappy heels and a messy bun are sure to set you apart in the crowd! These jackets can be worn in any of the countless parties that you will have to attend prior to your or your BFF’s wedding. Want to wear a lehenga without looking too traditional? An off-shoulder blouse is what you need! It adds that edge to your outfit. Wear your hair loose and keep the accessories to a minimum with this one. A lehenga with an off-shoulder blouse is just what you need as the bride's BFF on her D-day! Lehenga gowns are all the rage this season and rightly so. It’s not just a super comfortable outfit but super stylish too. It looks more like a corset blouse teamed with a lehenga and a dupatta, all sewn together. Choose a neck piece depending on the neckline of the gown. For deep U or V necklines, go for a statement necklace. For high necklines, ditch the necklace and wear heavy danglers. 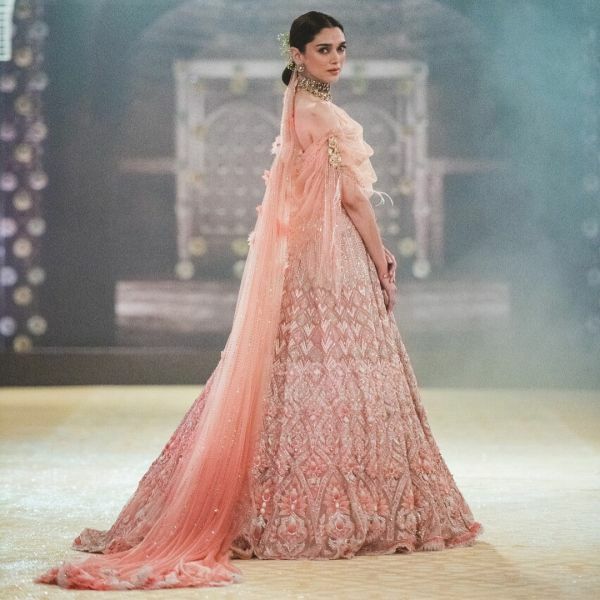 Lehenga gowns are the dressier alternatives to gowns. Brides who can’t choose between gowns and lehengas can opt for these for their reception night. Yup, you read that right! Make a serious fashion statement in a crop top and cowl drape pants set. The golden sequins make it a great choice for the shaadi season and the overall look sure is absolutely awesome! Don’t accessorise too much. Keep your look simple and play with different hairstyles, if possible. Draped pants are perfect for both mehendi and sangeet festivities and can be worn by both the bride and the bridesmaids. Whether it is the reception night or cocktail party, floor-length maxis are in vogue. The best thing about this attire is that it looks easy going while also adding a touch of class to the overall look. Experiment with different necklines like a halter, V-necks, cowl necks and find out what looks the best on you. Though most women stick to sleeveless or net sleeves, spaghetti straps and cap sleeves are also great options. Keep the accessories simple. Stick to simple drop earrings to keep the look sophisticated. Floor length maxis can be worn by brides on cocktails or receptions. It’s also the perfect option for shaadi guests. Trendy but slightly complicated to wear, dhoti sarees are for everyone who wants to add some drama to their look. The lower half looks exactly like a dhoti but the upper half has a proper blouse and a pallu in place. You may need to follow a few YouTube tutorials before you perfectly excel at wearing this unique piece of couture. Or else, you can just pick up a pre-stitched piece. Play with statement accessories. A quirky maangtika or an eye-catching necklace, experiment with various styles before you find that one piece that’ll complete your look. Dhoti sarees are perfect for your BFF’s wedding. They can also be worn by the bride on her sangeet. We love ruffles, everywhere- on footwear, on the sleeves of blouses as well as on skirts. So, why not on gowns? Ruffles add a certain charm to an outfit and lend a princess vibe to the simplest of gowns. We particularly love the intricate ruffles on Manish Malhotra gowns. Tie your hair in a messy bun and pair the outfit with drop earrings. You can skip the necklace to keep the western touch intact. Ruffled gowns make for perfect evening gowns so they are apt for cocktail and reception functions. You can even opt for one for your engagement ceremony. The low high kurtas bring a subtle twist to a regular straight kurta. The asymmetric hemlines make the kurtas look more stylish and it is the perfect attire to be worn at any wedding function. Ditch the leggings and pair palazzos or cigarette pants for a trendy look. Accessorise with chunky statement jewellery. Suitable for casual pre-wedding parties. 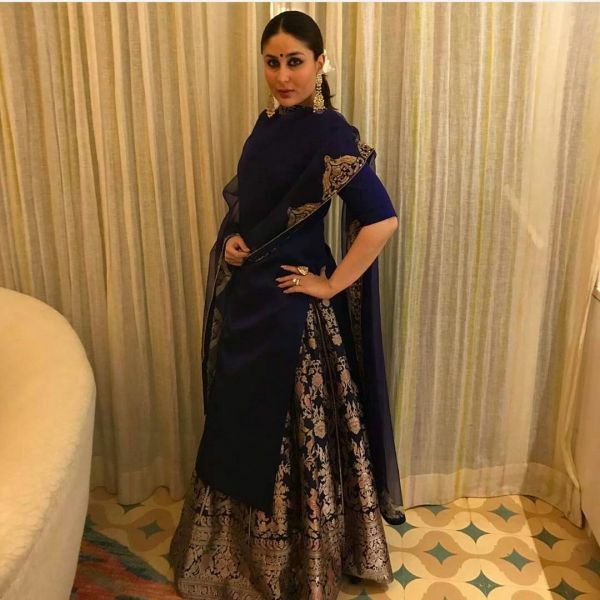 Versatile and graceful, kurtis with drapes are also the go-to style of our favourite Bollywood celebrities on events with an ethnic dress code. Sonam Kapoor and Kareena Kapoor Khan have been seen flaunting this style numerous times with pants. Silver and copper jewellery go well with this style. Choose either a necklace or earrings and not both. Drape kurtis are perfect for the Ghar ka functions and for the wedding guests to wear on the mehendi. Anarkalis are the absolute favourites of Indian women when it comes to wedding fashion. With the simple addition of a jacket, you can take the outfit to another level. Make sure the jacket is heavily embellished or embroidered to make your outfit look dressier. Go for matching or contrasting colours, depending on your choice, and feel like a princess in the flowing silhouette of the dress. As the outfit is already dressy, don’t go overboard with the jewellery or you will end up ruining the look. Go for small pearl earrings and delicate bracelets. Perfect to be worn by brides on engagement and/or mehendi, sangeet. Designers like Gaurang Shah have emphasized on the timelessness of silk and made us fall in love with this classic fabric all over again. Pair a silk or banarasi skirt with a crisp white shirt and get ready to be showered with compliments as soon as you step inside a party. Go for bold statement jewellery like huge danglers or a junk necklace. Perfect for the sister of the bride or groom or the bride’s BFF to be worn on the wedding night. Pair a dhoti style skirt with a fitted crop top and be the star of any wedding. This is probably the boldest outfit in the list but also the most stylish. To add more drama, go for an off shoulder crop top or blouse. Style with a statement necklace and sky-high heels. The outfit is perfect to be worn on the sangeet or mehendi by the bride or her bridesmaids. On occasions when you don’t want to look OTT but also not too laid back, opt for a short anarkali with classic blue denim. The best part? It looks good on women of all body types so you don’t have to worry whether or not the attire is complementing your body. Keep your jewellery and accessories minimal. Simple studs and a delicate necklace are everything you need to pair with this outfit. 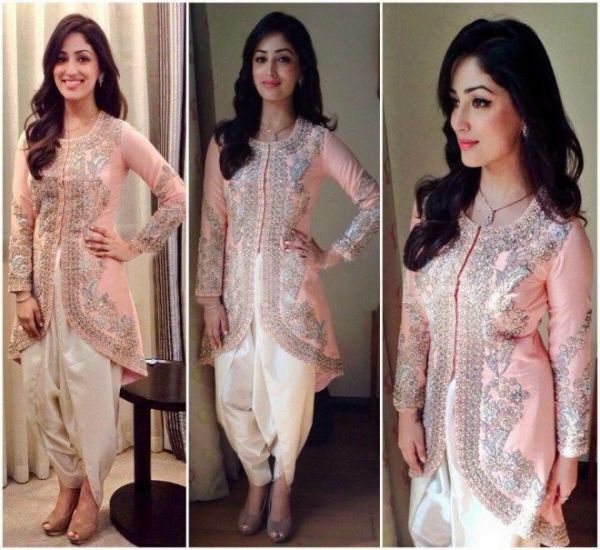 Flaunt this outfit on all day functions where you don’t want to wear heavy ethnic wear. We love the bohemian vibes of this outfit. Plus, it’s super comfortable. That means you can dance your heart out without having to worry much about handling your outfit. There’s not much you need to do with this attire so a single piece of quirky jewellery (perhaps a neck piece or a pair of earrings) is enough to make you the showstopper of the night. These are perfect for your sangeet night and even for the mehendi function. Create a trendsetting look by pairing a silk skirt with a long kurti in the same fabric. Make sure the kurti and the skirt are in contrasting colours to make the outfit stand out. Accessorise with danglers and a maangtika to create a lasting impression. 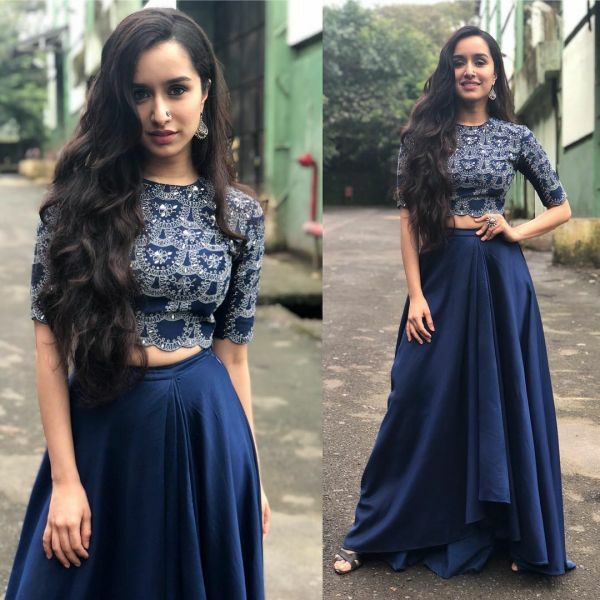 You can wear skirts and kurtas to wedding functions or even cocktail parties. A popping bright kurti paired with matching or contrasting pants...this one’s already giving us the shaadi feels! The vibrant colours make it an ideal choice for a day ceremony and the straight cuts give it a more western appeal. Wear your favourite pair of jhumkas and put on a bright lipstick before you step out. The bright hues are perfect for a day ceremony.